We have been asked to host a tournament as part of the inaugural Edinburgh Festival of Cycling. 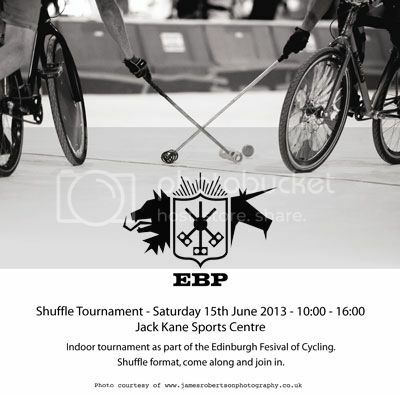 We will be welcoming newcomers along to have a go and if they want, play in a shuffle tournament. We have two halls booked at the Jake Kane Centre and will be playing from 10-4pm. We will no doubt head out into town after.